You have probably heard that the State Government recently signed off on the new Sunshine Coast Planning Scheme. In his letter advising our Council of the Government’s decision, Minister Seeney (Minister for State Development, Infrastructure and Planning) instructed our Council to include the Halls Creek area in the planning scheme as an area for possible future growth. 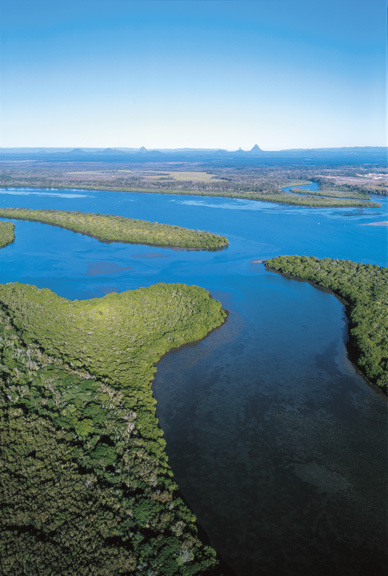 The Halls Creek Area in the Pumicestone Passage catchment is the subject of a long standing debate between the Sunshine Coast Council and the State Government. Sunshine Coast Council does NOT want to see urban development in Halls Creek but wants to protect the green buffer between Moreton Bay and Sunshine Coast regions (known as the inter-urban break). While in Opposition, the Sunshine Coast LNP members released a ‘Liveable Sunshine Coast’ policy in which they vocally advocated against State interference in local planning matters and committed to protecting the inter urban break. In his role as Chairman of the South East Queensland Council of Mayors, Campbell Newman also committed himself to this position saying: “….we cannot support unchecked urban sprawl, and we support the concept of an urban footprint. 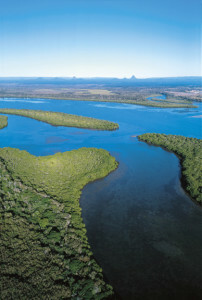 Protecting inter-urban breaks, such as those between Sunshine Coast and Caboolture is crucial." Since coming to office the LNP has repeatedly stated that they want to empower local communities to make their own planning decisions. Yet here we have Minister Seeney instructing Council to include an area of 1400ha for possible future urban development right next to the internationally listed Pumicestone Passage in its planning scheme. The Council has consistently expressed through planning studies and documents that this sensitive area is not suitable or supported for urban development- a position clearly backed by the community through extensive public consultation. It is time for the community of the Sunshine Coast to let our local members know that they need to be representing us, and not the self-interest of either the LNP or the development lobby. Call your local Councillor and let them know you do not want council to follow the States direction and urge them to find a way to refuse the directive issued by Minister Seeney. Please find below more information about this issue- the Liveable Sunshine Coast Policy and the Statement made by Mr Newman. Please take the time to make these two phone calls and/or emails. The future of the Pumicestone Passage and the character of our community are at stake and we have to generate a clear signal from the community that we will not be dictated to by the State Government.